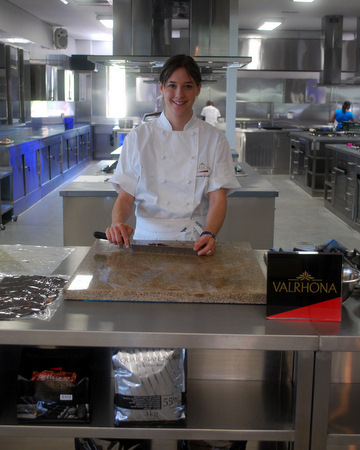 Chocolate was the lure and pastry skill was the excuse when around 80 of the Cape’s chefs gathered to watch Valrhona’s local ambassador Vanessa Quellac get technical over chocolate dessert. Quellac demonstrated - and offered tastes to willing participants - of a cocoa almond streussel with Valrhona Nyangbo (from cacao beans in Ghana) with 68% cremeux, served with pink grapefruit and a Rooibos-infused ice-cream. To garnish, tempered Valrhona Ivoire chocolate shards containing rooibos tea, and Valrhona Nyangbo 68% chocolate shards. 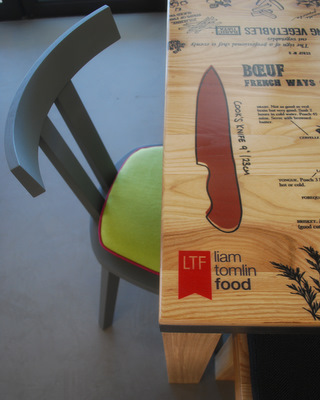 It was the first event held at Liam Tomlin Food. 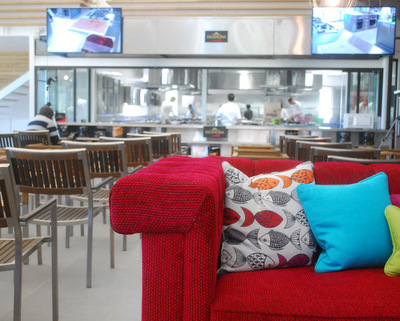 This is a Franschhoek first with dedicated cooking stations, a state-of-the-art demonstration kitchen, a high-end kitchen and homeware shop and a tasting area for Leopard’s Leap wines. Thanks Kim, some great shots! What a fun day as well.